From the company that brought us side airbags, Volvo has introduced the Active High Beam Control Technology. According to Volvo, this system allows drivers to use their high beams at all times without causing disturbance to the rest of the traffic users. Volvo will display the new technology at the Geneva Motor Show. The system uses a camera mounted at the back of the rearview mirror to detect the traffic ahead. A device in the head lamps then partially blocks out the high beam in order not to cause glaring to oncoming drivers. Volvo says that the program is designed to be so precise that even an oncoming motorcycle can be detected and shielded from the high beam effectively. "When another car approaches from the opposite direction, the system helps to prevent dazzling of the oncoming driver by shading out only as much of the beam as necessary. The same functionality applies to drivers in front. 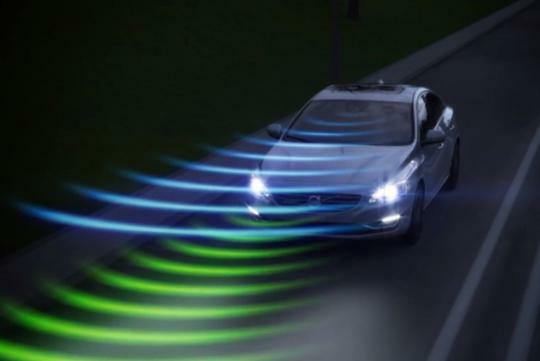 The side of the road is still illuminated, which makes it easier to detect unprotected road users," Volvo explains. The new system will be available as an option in the updated S60, V60, and XC60 in early 2014. Personally, I feel that it should be fitted as a standard equipment instead as I believe not many people would want to pay extra for something that does not benefit himself. This system not much use in S'pore,as our road are brightly lit,anyway this is standard feature on the 2.5 Mazda 6..